Price / Person: US$ 76. By proceeding to the payment (bank transfer, Western Union, Paypal or major credit and debit cards) you will be directed to our new website. To secure your reservation, please transfer 50% of the price of the tour by adding the item to your shopping cart multiplied by the number of persons participating. You pay the remaining 50% upon arrival. With Paypal you have 180 days purchase protection. Please consult our cancellation policy for further details. One of our guides will pick you up from your hotel at 7.30am. 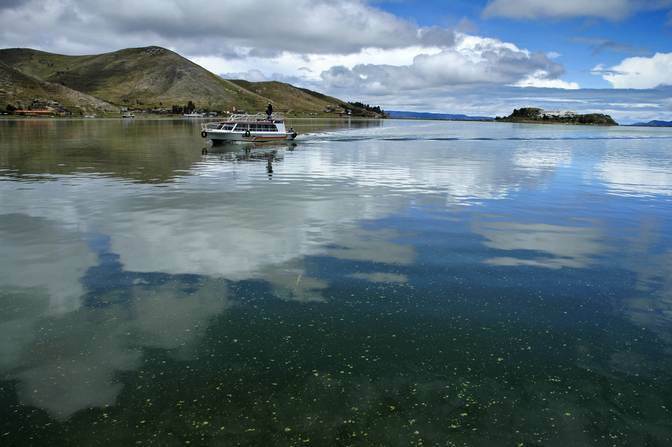 to be transferred to the port of Puno and board motor boats in which we will travel 40 minutes. 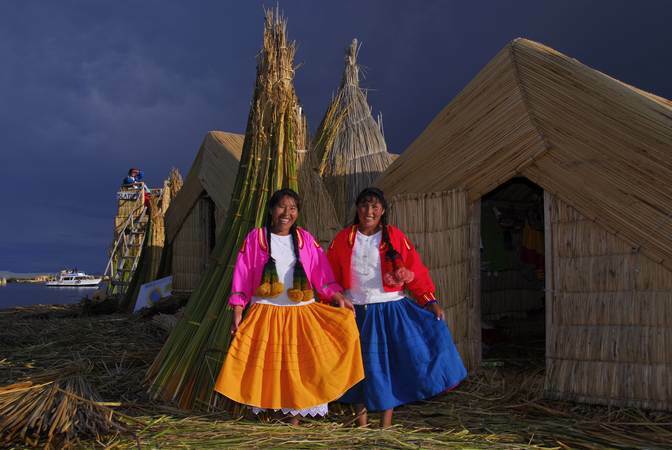 After the trip we visit the floating islands of Uros. Here a family will welcome us in their native language (Aymara language), who will explain about their customs and way of life. After all the information we make a small tour aboard boats made of reeds (totora) in the area of the islands in order to enjoy the beautiful scenery of this magical place. The visit has a duration of about 45 minutes then we depart on our motorboat to the island of Amantani. 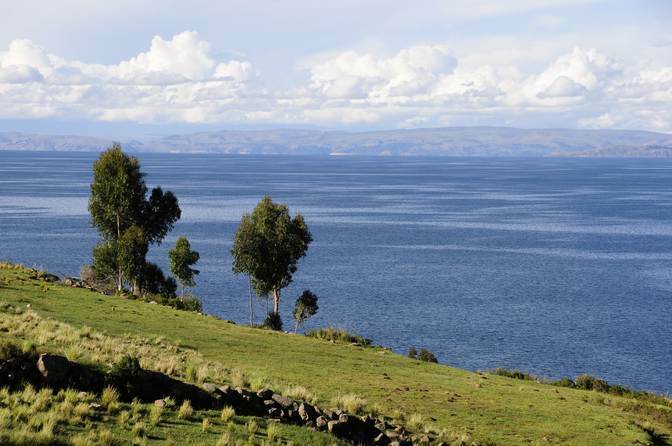 Along the way you will have a panoramic view of Lake Titicaca and enjoy the beautiful scenery of the lake considered the highest in the world, come to the island of Amantani at 1.30 pm. Approximately accommodate then guide the group in local family homes. This place will be given lunch (typical food), after lunch you will have a free afternoon to explore the area on your own or just share the evening with our respective families, then the evening our guide will invite you to make a trek to Pachatata Temple and Pacha Mama. This is a sacred place for thousands of years which is still considered a place of worship for the people of this community. Our guide will explain about the customs of these people and the beliefs and rituals practiced till today. Then he returns to the family home where they have dinner and then dress them in traditional costumes of the place and then be invited to a folk festival where you will be confused with the locals and other tourists, here you can dance and enjoy the music typical of this community, the party will last approximately one hour, then return to our family for the night. After breakfast we cross the island of Amantani to Taquile Island traveling one hour. On arrival take a walk into the village where you can observe the famous textiles and traditional clothing and learn about the customs of these people. 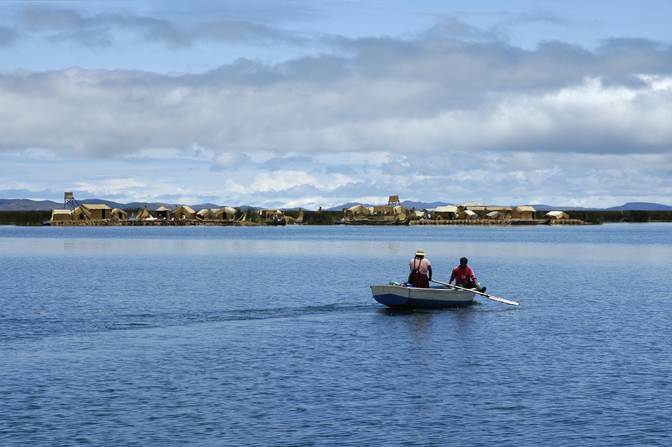 After the tour we will have lunch and then return to the city of Puno approximately 4.30pm. Return to the hotel after the program. For this type of trip is important to wear warm clothes, long pants, hiking boots, sunglasses, sunscreen, woolen cap, gloves and wear a poncho here since temperature changes can be abrupt and may have rain at certain times of year. In the winter months it is important to wear a jacket and warm clothes because I always get cold at this time may be more intense, if take a camera or camcorder not forget to bring a bag to protect from rain. To make a reservation is important to send all personal information and payment required for this service. Then our reservation department will send an e-voucher or receipt, which you should print and present to start the tour. Note: To make these services a person minimum is required since this service is shared. All prices are in dollars and are per person, any questions send an e-mail or please consult our prices here.